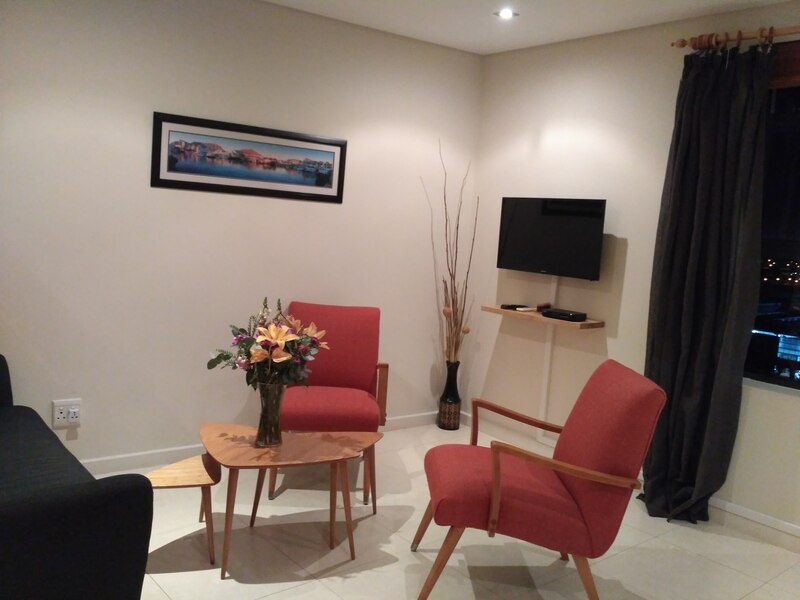 Located in the heart of Cape Town, at the lively St. Georges Mall Street, this property offers a studio apartment with a separated sleeping area, kitchen and lounge. 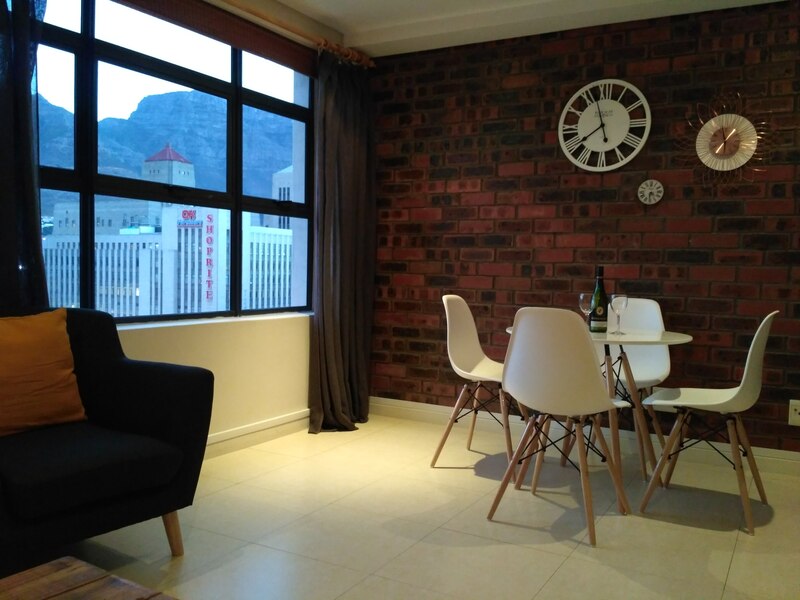 The signature of Cape Town - the Table Mountain, can be well seen from the apartment’s window. 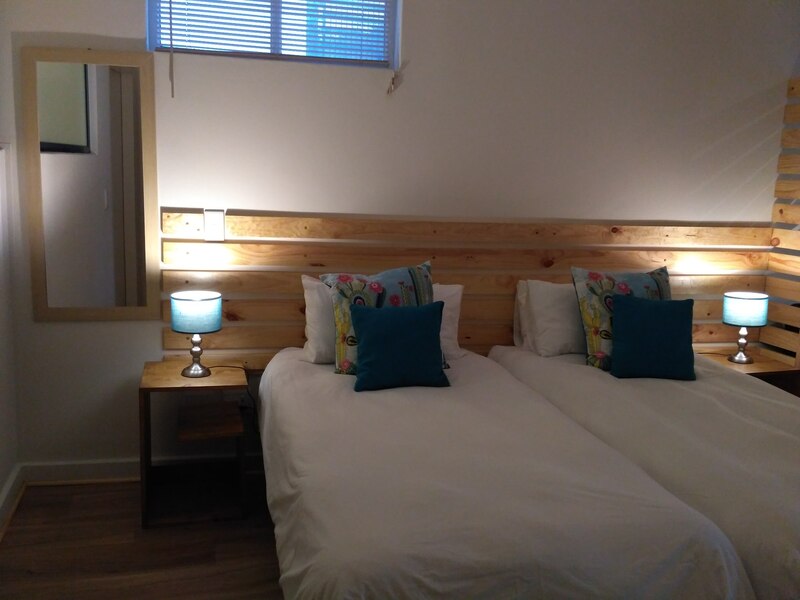 The apartment is ideal for a couple or a single traveler, for a business man or a holiday maker. The apartment is ideal for a couple or a single traveler. 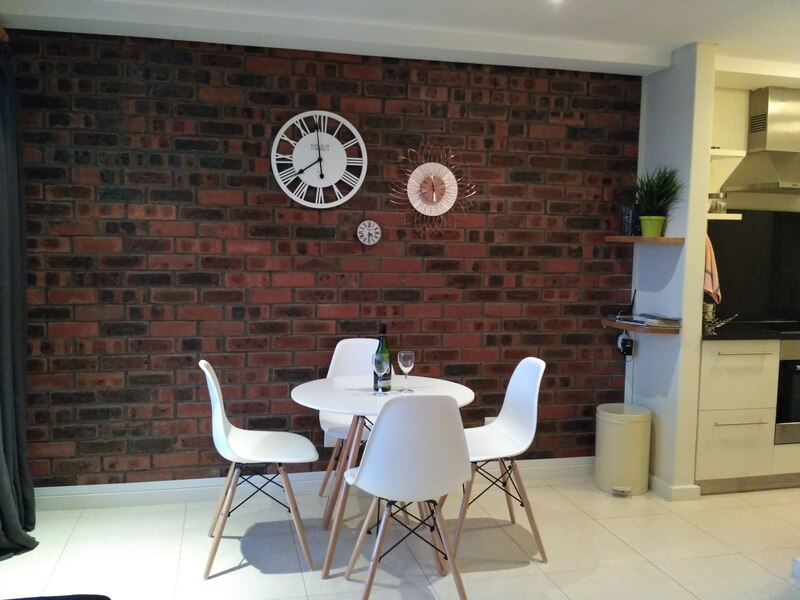 It has a fully equipped kitchen, a dining table, a sofa & coffee table in the lounge. 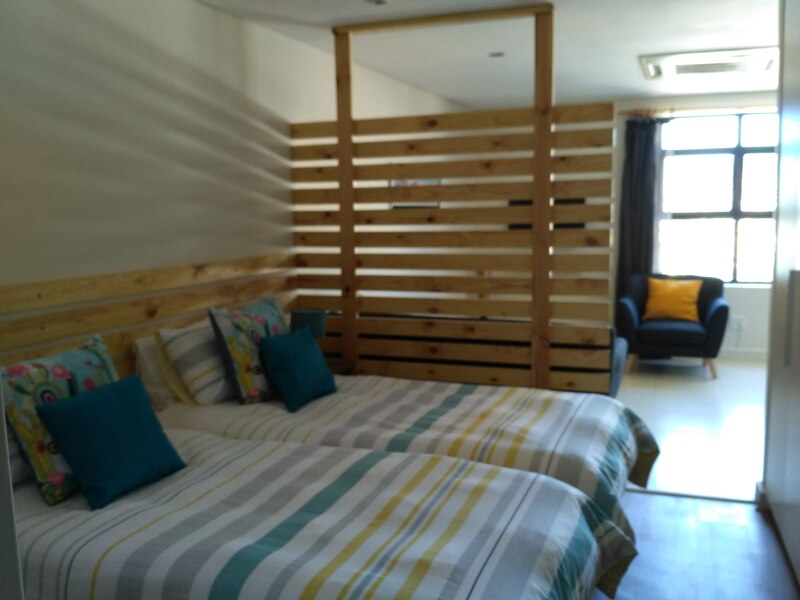 The bed in the sleeping area can be converted into 2 single beds on request. 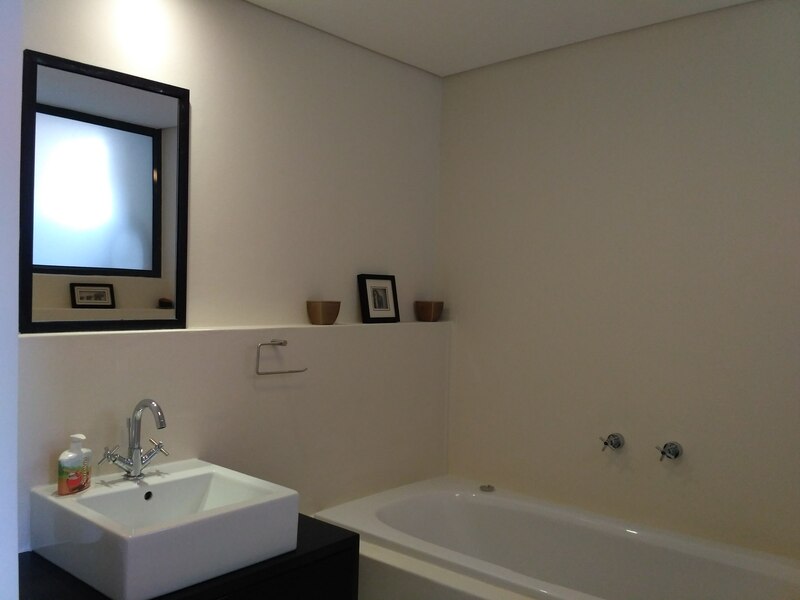 The spacious en-suite bathroom includes both a shower and a bath. 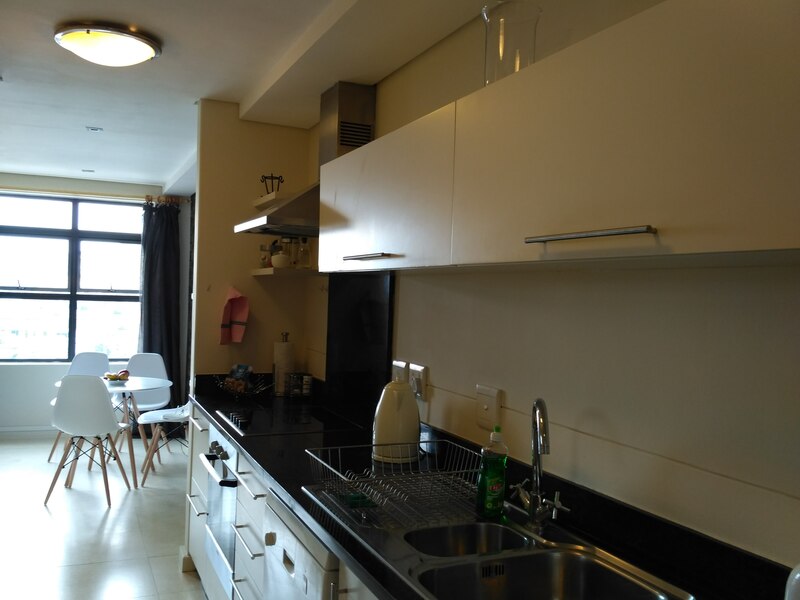 A convenient parking and communal laundry is on site. The Pick’n Pay grocery store is around the corner and the vibrant Long Street with its restaurants and nightlife is just 100m away. The African market at Greenmarket Square and the Hop-On Hop-Off Red Bus can be reached in 3 min by foot. Cape Town Conventional Center is a 10 min walk and close to the My Citi bus stop. Kloof Street ia 1.5 km away and the V&A Waterfront is 2.5 km away. The Castle of Good Hope, St.Georges Cathedral and the Company Gardens and Parliament Buildings are approximately a 10 minutes’ walk away. De Waterkant and Bo Kaap are 1 km away.